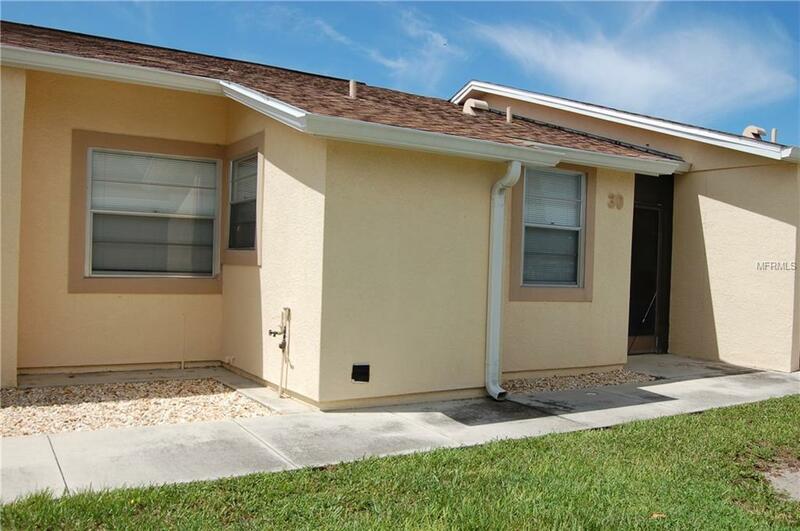 This quaint over 55 Condo community is located in a quiet area of Englewood, Florida on the West Coast. The lanai is so private. It overlooks the 80 Acre Wildflower Preserve with lots of wildlife to see. Just down the block is the Amberjack Environmental Park, a 225 acre park great for birding, hiking or just a relaxing sight seeing walk. The community has easy access to stores, beaches and dining but tucked away in a private setting. This 2 bedroom, 2 bath condo is waiting for your personal touch. Enough room to host an overnight guest or 2 without feeling cramped. The master bedroom is large enough for a king size bed with an access door to the lanai. The master bath has a step in shower and the guest bath has a tub/shower combo. The condo is located just a short walk to the assigned covered parking area with storage closet and visitor parking nearby. The Condo association takes care of all of the outside landscaping and the pool so all you have to do is move in and enjoy. The lovely pool area has restrooms and plenty of seating to relax and enjoy the Florida sunshine. Association fees are $330 per month. No pets and rental restrictions apply. For full disclosure please see Condo documents. We are priced to sell. Make you appointment today. Additional Lease Restrictions Application And Fee Required. Must Own Property For 24 Months Before Leasing. Minimum Lease 2 Months. No Pets. Over 55 Community.